Is there any place in the world more glamorous and vibrant than Manhattan? With more than 1.6 million people living in just under 23 square miles, Manhattan is the most densely populated area in the United States and considered by many to be the cultural and financial center of the world. Even Manhattan's origin is the stuff of legend. In 1626 Dutch colonists purchased the land from Native Americans for the princely sum of $60 guilders, which translates to just over $1,000 in modern currency. Today Manhattan is worth more than $3 trillion. Manhattan is home to Times Square, Central Park and Grand Central Terminal, which are three of the world's top 10 tourist attractions. While Manhattan's many attractions draw nearly 60 million people each year, there's one visitor that's not so welcome: mold. What Makes Manhattan Mold Removal and Mold Treatment Necessary? Architecture in Manhattan is a blend of historic buildings and contemporary skyscrapers, but one thing they have in common is the potential for mold infestation. Mold spores are invisible to the eye but constantly present in the atmosphere and all they need is a damp place to land and multiply. • Water leaks can occur in any building regardless of age. They often develop in out-of-the-way places, such as in basements or behind walls, allowing them to escape detection until the musty smell of mold draws attention. 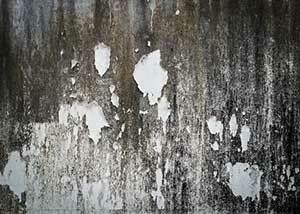 • Excessive humidity can make any interior surface a candidate for a mold colony. Manhattan is considered an urban heat island, making it difficult for air to circulate, and it's situated on the fringe of a humid subtropical zone. These factors combine to produce relatively high humidity levels. 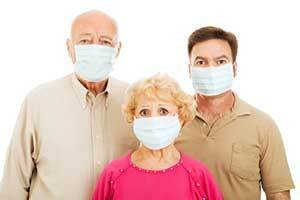 In Manhattan, mold removal is often a health issue. Extended exposure to mold can cause allergic symptoms such as sneezing, coughing and irritated eyes as well as other ailments ranging from muscle and joint pain to depression. It can also aggravate pre-existing conditions like asthma or autoimmune diseases. A sobering example of the effects of mold was reported in December 2016, when a mother of four in the Hamilton Heights neighborhood of Manhattan reached out for help in getting repairs to her apartment. One child is a seven-year-old with leukemia and asthma, and doctors told her that black mold discovered in their apartment has adversely affected his condition. If you own a business in Manhattan mold removal is an even more pressing issue as you have both customers and employees to consider. It can take only a single reported instance of mold to damage your reputation and your finances. While there are currently no federal statutes in place regarding mold and the workplace, the legal system is becoming increasingly sympathetic toward victims of mold exposure. In 2008, a Manhattan appellate court denied millions of dollars in mold claims on the basis that the link between mold and illness was unclear. Only four years later, another panel in the same court overturned the original ruling. The new decision was based on a growing number of studies "indicative of a causal relationship" between mold and illness. On January 1, 2016, a new law took effect with more stringent guidelines for companies performing Manhattan mold removal. Stern Mold is a professional mold treatment company using experienced and professionally trained technicians. Our proprietary MoldExterm two-step process is more effective and less intrusive for Manhattan mold removal than traditional mold remediation. It utilizes a powerful yet eco-friendly anti-microbial that is registered with the Environmental Protection Agency, along with a polymer sealer that provides a barrier against future mold and mildew infestation. 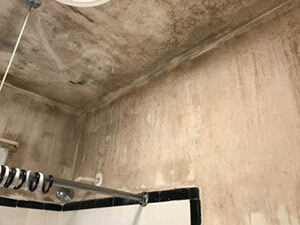 Stern Mold is your efficient and cost-effective solution for Manhattan mold removal. Visit our website or call 888-887-8376 to schedule your free mold inspection. We service the following areas in Manhattan: New York, NY; Upper East Side of Manhattan, Upper West Side of Manhattan, Chelsea in Manhattan, Upper Manhattan, NY; Harlem, NY; East Harlem, Manhattan, NY; Hell's Kitchen; Midtown Manhattan; Lower Manhattan; Soho; Little Italy in Manhattan; East Village, Manhattan; Chinatown, Manhattan; Lenox Hill, Manhattan, NY; Central Park area in Manhattan; Morningside Heights, Manhattan, NY; Times Square area in Manhattan, NY; Sutton Place, Manhattan, NY; Midtown East, Manhattan, NY; Midtown West, Manhattan, NY; Murray Hill, Manhattan, NY, NY; Kips Bay in Manhattan, NY; Stuyvesant Town in Manhattan, NY; Two Bridges, Manhattan, NY; and Lower Manhattan. If you don't see your area listed, we probably can still provide service, just call us at 888-887-8376 to find out. • Your satisfaction with our treatment and service is guaranteed. As part of Stern Environmental Group which has served the New Jersey and New York City metro area since 1995, we take your satisfaction with our services seriously. Call us now at 888-887-8376 to find out more about how we can help you with your mold problem fast.